Joseph Mallozzi's Weblog: January 13, 2011: The Chairman touches base! Jelly on the move! Lunch at Romer’s Burger Bar! 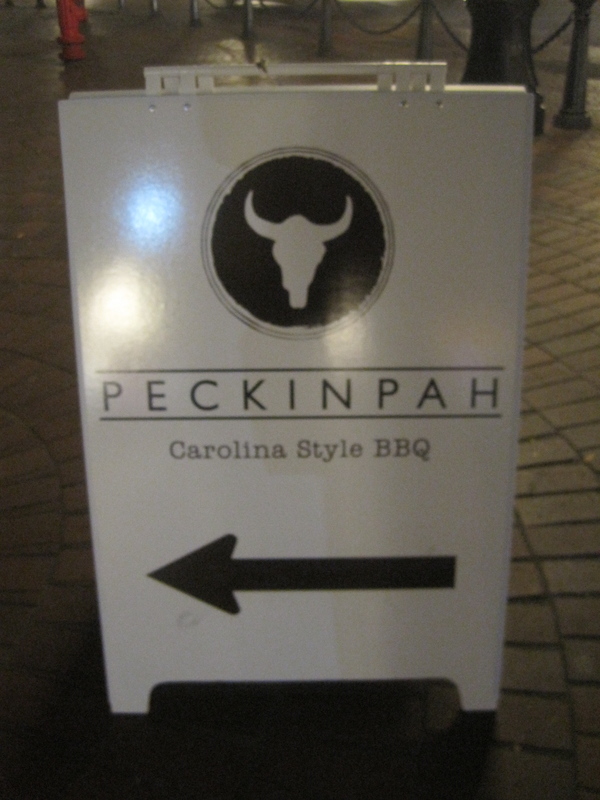 Dinner at Peckinpah! And &$%#ing Shaw Cable keeps &$@#$ing calling me and getting on my &%$@ing nerves! January 13, 2011: The Chairman touches base! Jelly on the move! Lunch at Romer’s Burger Bar! 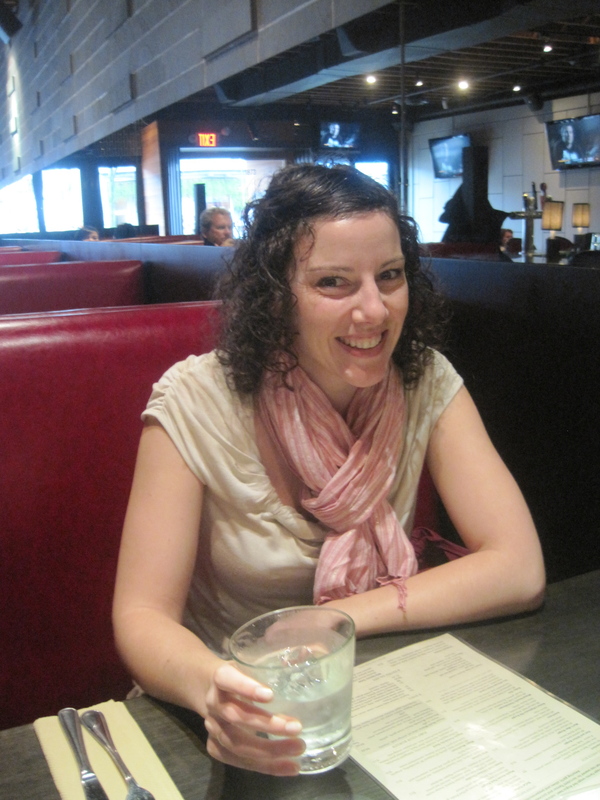 Dinner at Peckinpah! And &$%#ing Shaw Cable keeps &$@#$ing calling me and getting on my &%$@ing nerves! Hey, guess who I heard from today? Mark Dacascos, aka The Chairman (Iron Chef America), aka Tyre (Stargate: Atlantis), aka Eric Draven (The Crow: Stairway to Heaven), aka Mani (Brotherhood of the Wolf) – and, most recently, Wo-Fat (Hawaii Five-O), who touched base after I mentioned him on my list of The Top 10 Food T.V. Personalities I Enjoy Watching (January 9, 2011: The Top 10 Food T.V. Personalities I Enjoy Watching!). Super stand up guy (after his stint on Atlantis, I had members of the crew walking up to me and asking if there was any way we could make him a regular – despite his character’s death and all). I have got to get to New York this year and watch him do his thing in Kitchen Stadium. And, while I’m there, check out some of the city’s good eats. Robert Cooper has already volunteered to be my culinary wingman and I’m sure I could convince Marty G. to join us. It's all about the brioche buns. 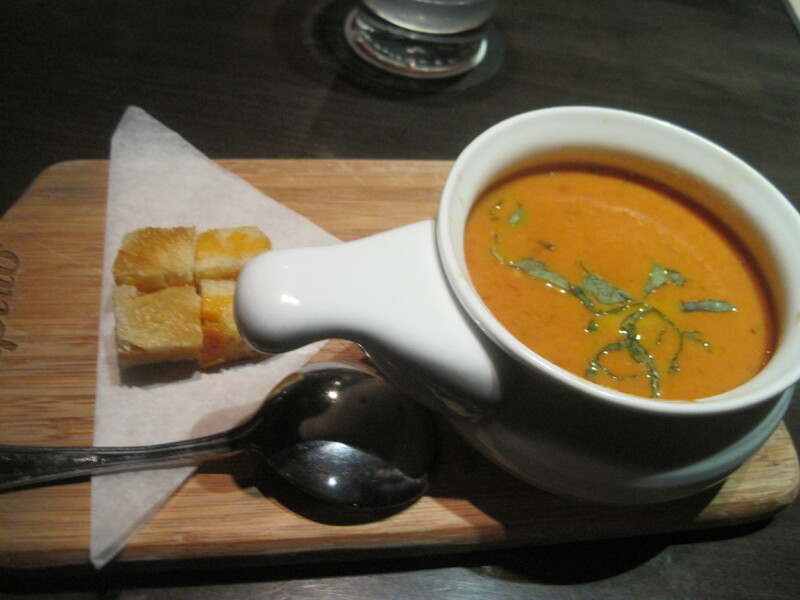 What happened to the grilled cheese croutons they serve with the tomato soup? They've been drastically downsized. When I pointed this out to our waitress, she assured me that she would inform the kitchen. "I think they already know,"I told her. 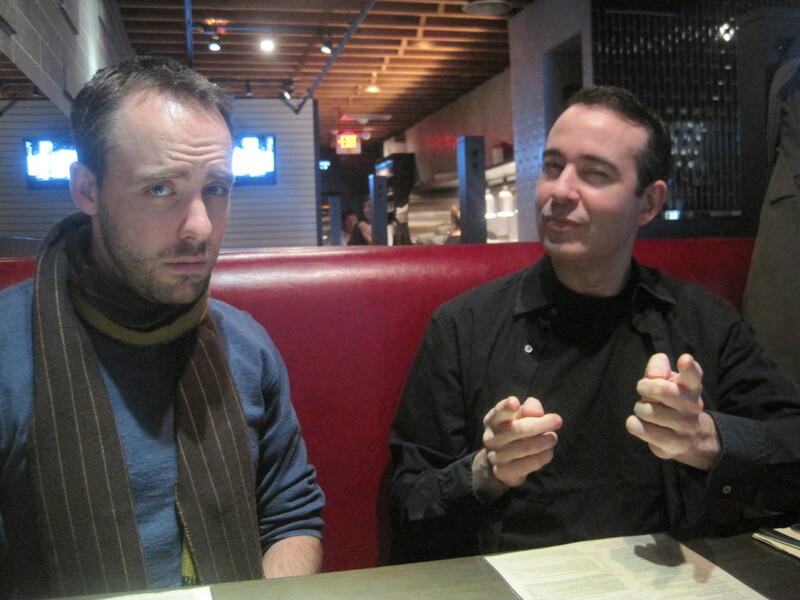 Lawren and I try our best "Ivon Bartok Photo Op" impersonation. Ashleigh wishes she was home eating tabouleh/watching Oprah. It’s nice to have so many friends with free time. 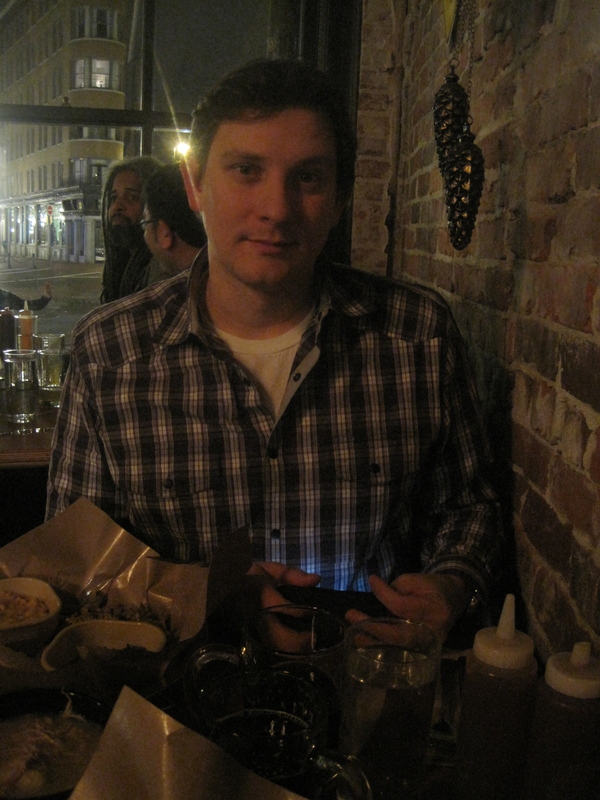 Former Atlantis writer Ken Cuperus has been in town working on a show for months. He got in touch with me ages ago about meeting up for dinner. First, I was busy with my episode, then busy wrapping up the season, then busy in Tokyo, then busy with family, and finally – not that busy at all. So we got together for that long overdue dinner. 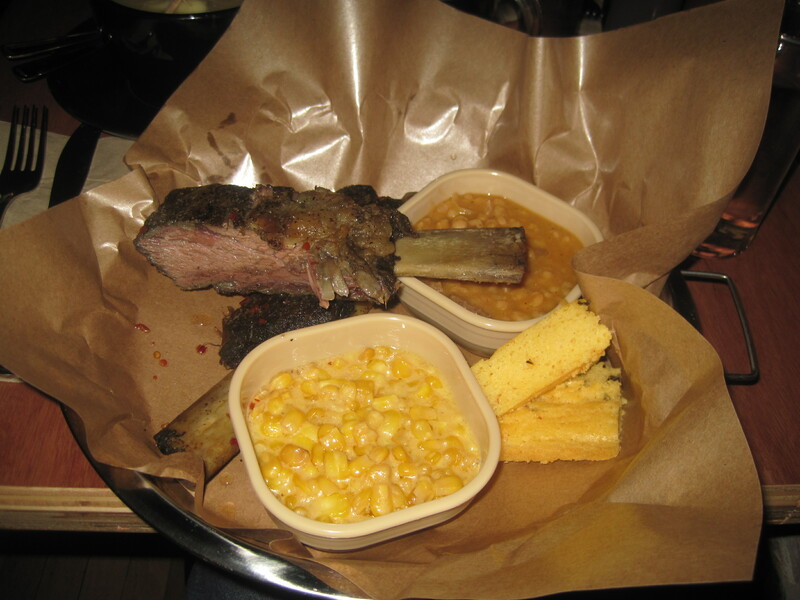 The creamed corn was good as was the corn bread (although I prefer the version served up at the Memphis Blues Barbecue House). Thought the beef rib was good but a little dry. Ken enjoyed his pulled pork which was served up sans barbecue sauce. The house barbecue sauce, available at every table, has a little more of a vinegar kick than others, in keeping with the Carolina-style theme. Deep Fried Mars Bar. I used to love the version served up at the now defunct Wings 'n Things. Peckinpah's entry could have used a better batter and refresh on the frying oil. 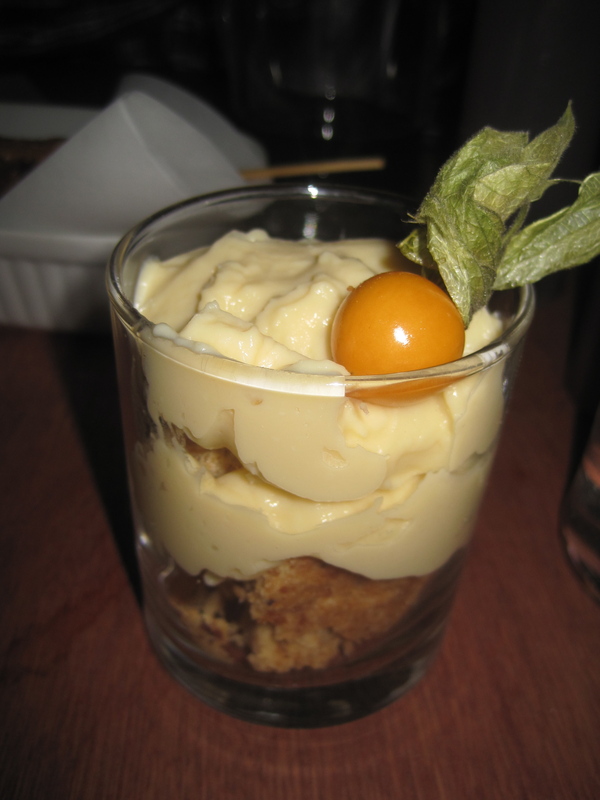 Banana Hazelnut Shortbread Parfait. Not sure why go with the hard, relatively tasteless shortbread when a softer cookie - say chocolate chip - would have offered a more pleasant textural contrast to the cream. 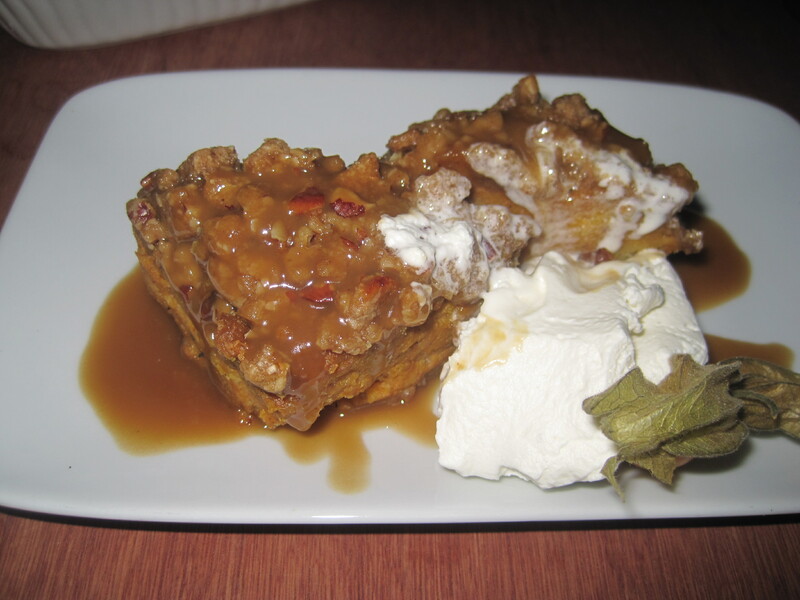 Pumpkin Bread Pudding with pecan crumble, caramel sauce, and whipped cream. It certainly looks good. No, not the steer skull. The bartender. She was very nice, very...what's the word? Oh, yeah. Gorgeous. Sort of a cross between Scarlet Johansson and a younger, better looking, less bitchy, much nicer to writers Katherine Heigl. I'm sure she gets that all the time. She seemed genuinely offended and hung up. Hopefully, this will deter them from trying again. If they prove persistent, my next step is to drop them as my internet provider. Maybe that will get me off their call list. Hitting the mailbag tomorrow so get your questions in. And finish off The Iron Hunt! Discussion begins Monday and author (not so secret Stargate fan) Marjorie M. Liu will be swinging by later in the week to field your questions! Previous Article January 12, 2011: Stargate Production Update! 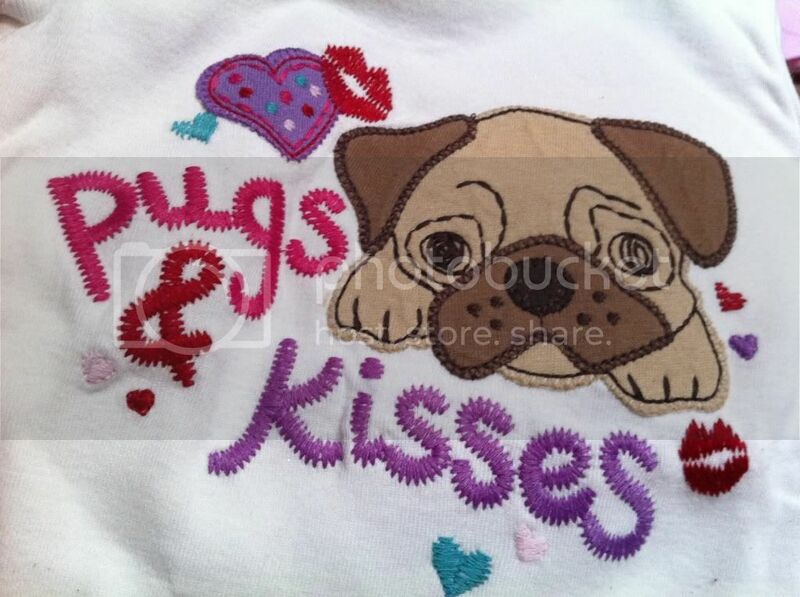 Next Article January 14, 2011: Dog show! Catching up with the mailbag! When you get to the Big Apple, I suggest John’s Pizzeria on 44th and 8th Avenue in Manhattan. It is one of only two remaining establishments in all of New York that use a coal oven. The building used to be a church, so all the murals and stained glass are still there. In short: great atmosphere and even better pizza!!! Check it out. About the cable company constantly calling: Just ask them to “put you on the do not call list.” Do Not Call are magical words that magically ends the phone call with nobody pulling hairs. 2. Mr. Moorcock is home and resting…all went well! 3. YAY, Jelly!! She’s just too precious for words. 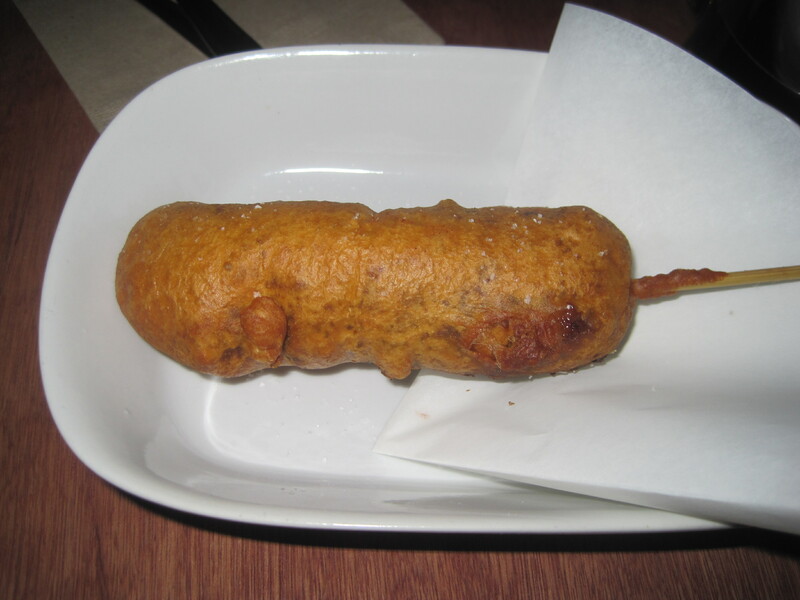 I am ashamed to say that even though I am Scottish I have never tried a Deep Fried Mars Bar. Does it help you work, rest, play (and suffer from indigestion for the rest of the day)? Jelly is looking good – she’ll be racing up and down the stairs in no time at all. Ohhh…Carolina barbecue! I love the vinegar! But that’s probably because I was raised on Kale and Vinegar. This has probably been asked before; what happens if you walk into the BACKSIDE of a gate with an active wormhole? Disintegration? Or is the field “Bi-directional” (i.e.-it will translate an object from the front or back)? It’s my first comment on your blog! Yay! I just wanted to tell you that I’m really glad to see Jelly recovering from surgery. Question about the stones…Is it completely random who you swap with if more than one person transfers at a time? I am refering to when, in Earth, Young, Eli, and Chloe return home into the bodies of Telford and the two scientists. Why did Young transfer to Telford and Eli to the scientist? I know it was for the drama with his wife, but is there a reason for it or was it because Young had transfered with Telford before the stones recognized this and kept the transfer constant. Just wondering. I really love Mark. Too bad he never became a regular. He would have made a great addition to the show IMO. We’ve heard a lot about Extinction and SGU, but what about Revolution? Has it been shelved till this whole situation has been sorted out, or is progress still being made with the studio? My goodness, look at Jelly running around. That is so nice to see. Seriously, what the hell, irony? *Dr. Rush seems determined to resolve Destiny’s mission, and in a sense, achieve as close as possible the power of the aliens from “Visitation”. It does not seem that he learned from the survivors of Eden, in that if he could bring back his wife, he could replicate her body, memories but not her spirit. Could Dr. Rush still sacrifice the crew like he did in “Air”, i.e. risk their deaths in pursuit of knowledge, or has he changed a bit? **Old question I asked about alternate means to fund SGU. Your answer was that directly asking the audience for production money was not feasible. It may be off base, but it seems that a group of producers could launch a company, produce a modest internet pilot and then sell, say memberships to a “Wormhole Xtreme club”(bad example?!) and people could buy memberships at $50 or whatever they want to give, until $X million is reached to produce the next few shows: control is then in hands of producers, not as much network/advertisers. After all, the audiences are worldwide now, and not limited to a single network/cable channel. *** To raise ratings: perhaps, turn a broadcast into an event with a realtime Q&A with an actress or writer(!) from the show. OR, how about a realtime vote (via phone) as to which scene to show after the next break (audience becomes realtime editor) or direction for series to go in. Do any of these ideas have merit, in general, or specific to SGU? ****Drama in Scifi: When I talk to friends not into scifi, the main reason given is the un-reality, the fantasy of spaceships and aliens is beyond their suspension of disbelief. The closest many come is shows like Lost or Smallville where fantasy is an element of conventional life, not a world on its own. Can there be a good marriage between drama and scifi, and go beyond a niche audience? I’ve always wondered why you haven’t been on Iron Chef as a judge. I mean, Tiki Barber was on. I’m sure you have greater culinary expertise than him. Jelly! Oh… I want to hug her! Such a good girrrl. She’s moving a lot better, and looks happy, too. Thanks for the video. Do Not Call lists are a beautiful thing. If your area has one, I would so recommend it. Ours has a DNC law that’s even more restrictive than the national law/list. If a telemarketer calls a residential phone line once it’s on the list, the company can be fined $11,000. And boy! Do they ever hang up fast once you mention that. They don’t call back, most of the time. The phone is so much quieter now. It’s good to hear positive news about Brad’s plan. *crossing fingers* It must be pretty great if you talked for 2 hours. Also enjoyed seeing part of the gang out for lunch. So??? 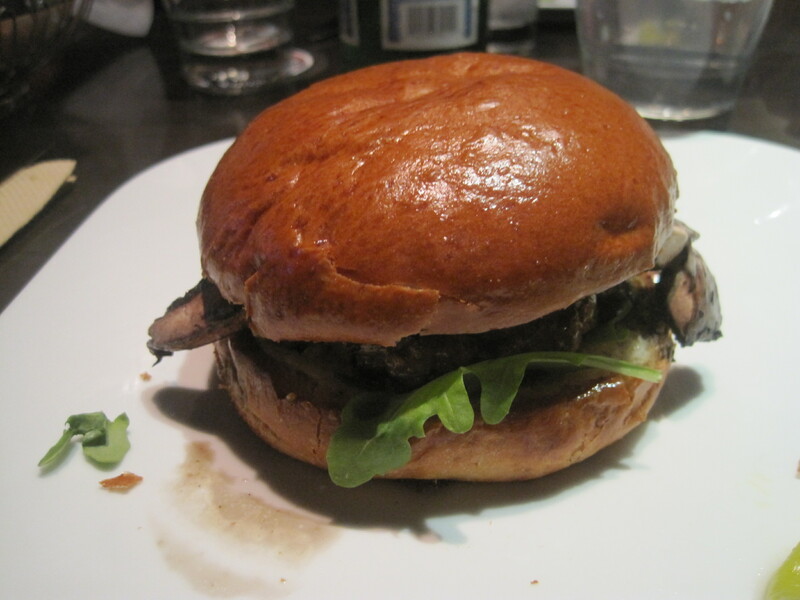 How did the magic mushroom burger taste? How have you been feeling lately? Have you been able to pinpoint anything as a culprit? Hope you are feeling better! Honestly, There is nope hope for SGU, is there? So glad you mentioned “Brotherhood of the Wolf”, as I really enjoyed that film, and thought Dacascos was pretty great in it…as the Indian guy. Seriously, though, cool movie. Glad to hear Jelly’s on the uptick, yay! Joe, totally agree: It’s all about the brioche bun. Whenever I get a burger on a brioche bun, I smile. Both on the outside and the inside. 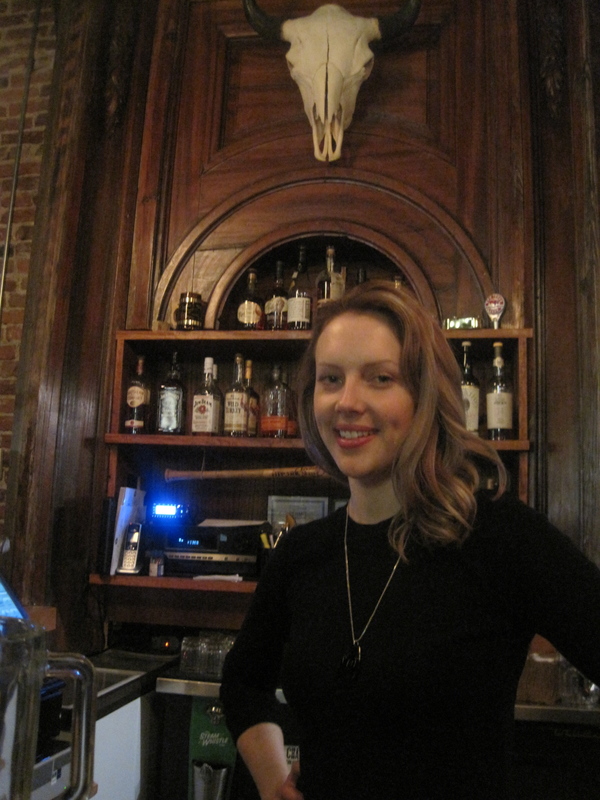 The Peckinpah bartender seems to also have a little Jewel Staite in her (at least in that photo). @DeanGrr – I hate to say it, but most of the people I know who aren’t into sci-fi have pretty much zero imagination. Or are afraid of the unknown. There’s really no good alternate reason for them not being into it. Sci-fi is the only genre that can encompass literally any storyline and story element from drama, comedy, love, lust, fear, sadness, terror, action, adventure, romance and everything else you can imagine. To dismiss the genre as “unrealistic” is to dismiss humanity of being capable of feeling, imagining or dreaming those thing. I was wondering how often you eat out per day ? It seems like you must go out to eat quite a few times per day. And, do you try out all the food in the pictures ? that food from the Bar B Q’ place looks awsome. ( I love n. Carolina style BBQ’ ! Those deserts looks umm soo good!! Thanks for the news about Stargate. Any little bit of info (especially positive news) really makes my day! I unfortunately did not become a regular watcher of Stargate until SGU. I used to catch epiosdes of both SGA and SG1 every now and then, but last summer when I was recovering from a bout with MRSA, I started watching SG1 and then SGA from begginning to end. It was a great time watching all of those episodes for a first time. I wish I would have been able to watch the shows live when they were coming out weekly like I am able to do now with SGU. It really is a shame that a big wrench got thrown into things last month!!! While I’m craving for (positive) Stargate news, for now just a food question: have you ever tried Dutch ? New York…okay…THAT just sounds too fun. Show, people…food…besides NY…WOW!! You better go…quick. Awww Jelly…made me tear up. She is so loved…just listen to your voice…making me tear up AGAIN…you are such a good daddy! Your pups are so very lucky to have you. Best to you Joe…and your pups! In my tiny corner of the world a deep fried Mars Bar is known as a “GooBar” and yet even that charming name hasn’t enticed me to try one. Glad to see Jelly looking better. Thank you so much for that update on the future of Stargate. I am really glad to hear that things are looking good right now. I was just wondering though if you could maybe give us some more details on what is actually going on with the process? I am really hoping that there will be more Stargate in the future, so I can’t help but wonder what is going on behind the scenes to make all of this happen. Sounds like you are having the same problem as I am having with BT over here…now changing over to Sky…10 times better service…warm and friendly and understanding….well trained staff…makes all the difference!